Three northern Métis and First Nations communities are partnering with researchers from the Johnson Shoyama Graduate School of Public Policy (JSGS) at the University of Saskatchewan in a $1.02 million pilot program designed to equip these small communities with the research and policy development skills they need to succeed. SASKATOON—Three northern Métis and First Nations communities are partnering with researchers from the Johnson Shoyama Graduate School of Public Policy (JSGS) at the University of Saskatchewan in a $1.02 million pilot program designed to equip these small communities with the research and policy development skills they need to succeed. 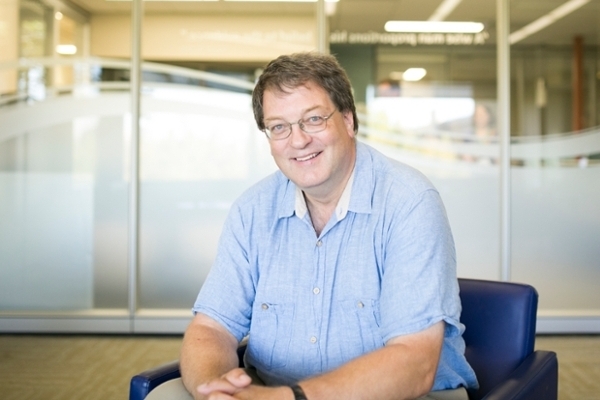 “We’re not going in there saying, ‘We’re going to do the research and tell you what to do.’ You tell us what the social, economic, community and political interests are, and we will do the research on things you ask,” said Ken Coates, Canada Research Chair in Regional Innovation at JSGS, who leads the project. The communities want to develop professional skills in planning for what works best for them, he said. With financial and in-kind contributions, the project is valued at more than $1 million. The communities of Ille-a-la-Crosse, Beauval and Buffalo Narrows, along with their community development corporations, together are contributing more than $197,000, as well as $198,000 of in-kind support. JSGS in contributing $20,000, and the Athabasca Provincial Electoral District office is contributing $20,000. A significant portion — almost $600,000 — comes from Western Economic Diversification and is being administered by Mitacs, a national non-for-profit organization. Communities will investigate what economic or social initiatives have worked elsewhere and what hasn’t, and what opportunities are available, said Coates. For instance, the project could involve doing background research to make a case for big game hunting or a wilderness fishing operation, or evaluating the effectiveness a youth program. The longer term goal is to train graduate students from the communities, but since they don’t have many, the project will initially hire about three undergraduate students from the northwestern area to assist with field research each summer. In the short term, the project will hire four to five well-trained master’s and PhD students to get things started, with the communities setting the agenda. This provides an opportunity for the graduate students to show they can be community-based researchers working with the communities to help solve problems and capture opportunities. Coates gives kudos to Athabasca MLA and former Ille-a-la-Crosse mayor Buckley Belanger for building confidence among community leaders to invest what for them is a sizeable amount of money in the project. He said everything they are doing in the project is designed to be replicated anywhere else in the province or country. Mitacs has designed and delivered research and training programs in Canada for 18 years. Working with 60 universities, thousands of companies, and both federal and provincial governments, it builds partnerships to support industrial and social innovation.